What’s adding pressure to your restaurant’s bottom line? It’s not hard to answer this question when you have an easy to use restaurant daily sales report. 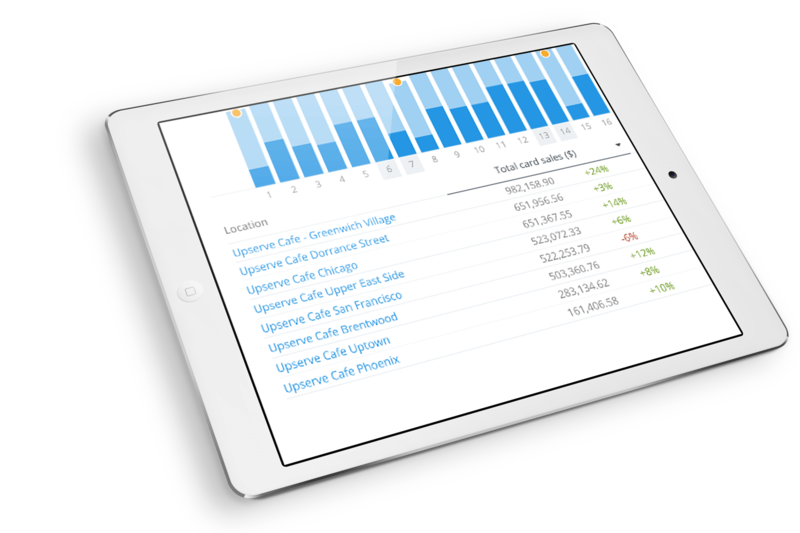 Enter Upserve’s Restaurant Sales Reporting: digestible sales reports that save time. Some of the most modern restaurant POS (point of sale) technologies still haven’t caught up when it comes to a digestible restaurant daily sales report format. 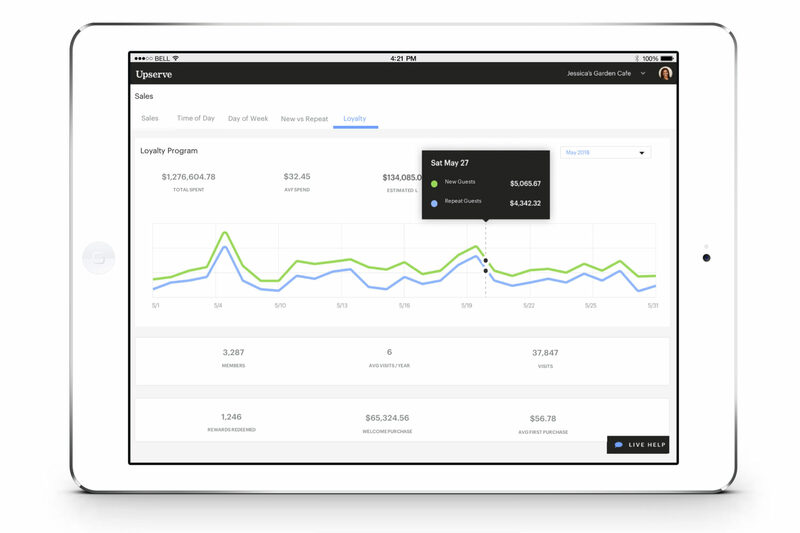 Upserve creates multiple opportunities for making sense of the data behind your restaurant’s operations, including a Daily Digest, Menu Intelligence, and Server Performance. Pull all this relevant data together into one place. But don’t think of it as static numbers in cells—there’s no need to export a .CSV to make sense of it. All you have to do is hover and click to view comparisons to last year, last week, and other time periods in the past, so you can quickly spot historical trends and adjust for the future. Get the full picture with a weather report attached to each day of sales. See which day of the week brings in the most sales, and what hours of the day typically have the highest average sales and most repeat customers, so you can schedule your best staff. What Can I Learn From My Restaurant Daily Sales Report? 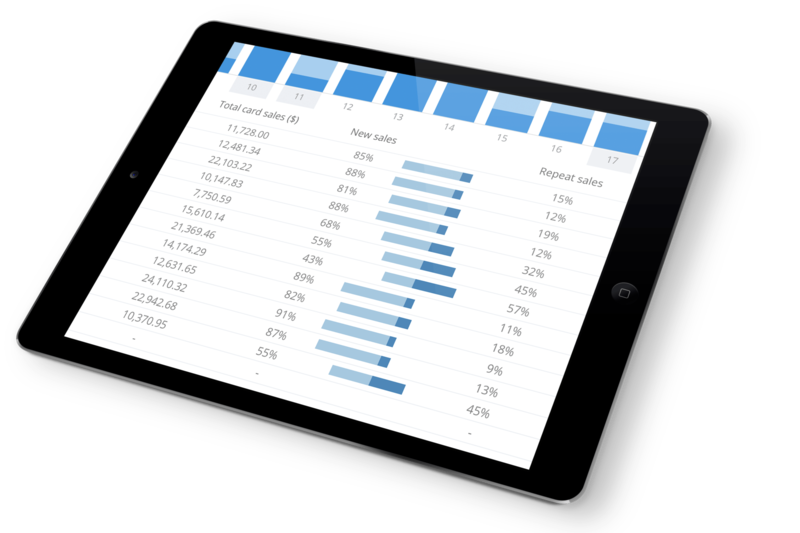 In terms of usability, our restaurant daily sales reports allow you to view sales data in a way that’s easy to access and make sense of. No need to export and manipulate rows of POS data! Although your restaurant’s daily happenings are worth keeping on top of, you might be wondering—is there a restaurant weekly sales report? Can I compare today’s restaurant performance with last year’s? There’s good news: Upserve gives you all that and a bag of chips. Hover and click to view comparisons with last year, last week, and any other time dimensions in the past. You’ll be able to see which days of the week brings in the most sales, and what hours of the day typically have the highest average sales and most repeat customers. Armed with this knowledge, you can schedule your best staff accordingly and prepare for a good night of business. The Upserve platform creates insights thanks to the seamless sharing of data across all of our distinct features. 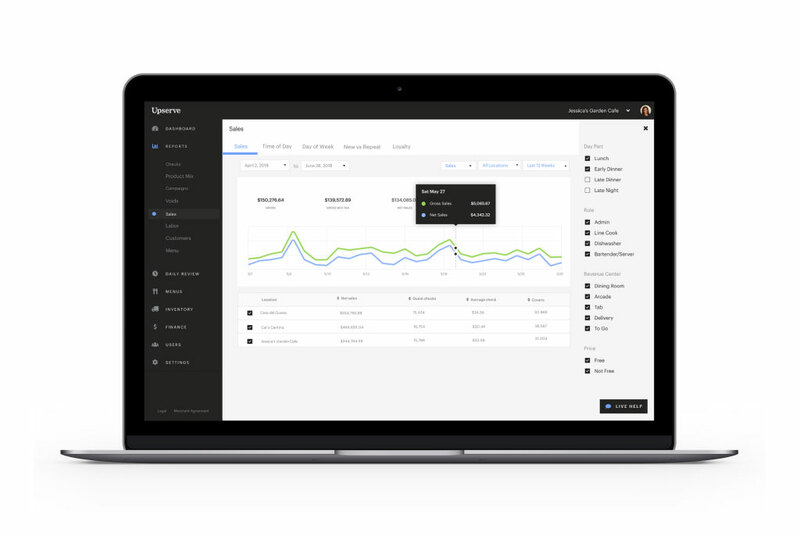 Because of this, you’ll be able to compare your restaurant daily sales report data across all connected restaurant locations—and the brand as a whole. What Can We Do Better, Tomorrow? The numbers don’t mean anything without context and action. The best way to make use of our restaurant daily sales reports and the insights they contain is to identify potential issues and opportunities to help you improve your restaurant over the long term. Repeat customers are the gold standard in the hospitality industry. It costs 5x as much to attract a new customer than to keep an existing customer. Because of this, it’s important to always be thinking about how to get people to come back in. 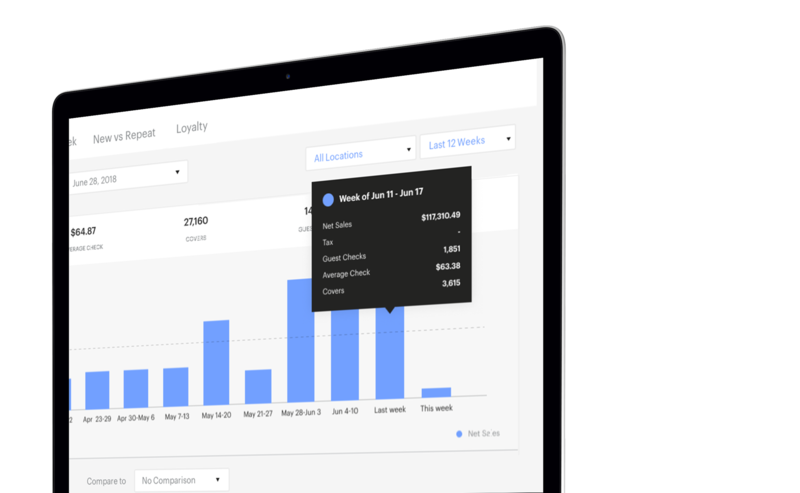 Upserve can track sales and visits from all repeat customers—whether or not they’ve signed up for your loyalty program with a connected credit card. While you’re at it, compare the percentage of sales associated with repeat visitors versus new guests and how the average check compares. These data points can help you gauge how well you’re doing in building up a loyal customer base and if there’s an opportunity to train your staff to upsell repeat customers. Ryan helps manage a group of restaurants in Chicago, they’re popular spots for college football fans, and see a steady stream of repeat business on Sundays. But he noticed sales were down at the West End at the end of Q4 of last year. He had a hunch it was due to lower repeat customer spend, but he didn’t have the facts to back it up. Then he got Upserve. In one quarter (just 3 months!) he was able to pinpoint the drop in sales to repeat customer business. He immediately launched a series of targeted in-store promotions – including server re-training and specials targeted at the loyal fans he knew were coming in for the games. He was able to increase repeat customer spend by 7%… which might not seem like a lot. This resulted in an additional $72,000 in sales. That’s a potential increase of $300,000 a year if the trend continues, and that’s only for one of the 10 bars he helps to run. That is a small change with a very big result.